Happy (Chinese) New Year from Acupuncture Associates! Sunday marked the beginning of the Chinese New Year, a perfect time for me to wish all of you a Happy New Year! 2013 is the Year of the Snake. The snake is considered a particularly lucky symbol in Chinese mythology, as snakes are associated with wisdom, financial strength, and accomplishment. In this New Year, I wish you all wisdom, financial strength, and, of course, good health and happiness! With Valentine's Day just days away, most people have roses on their mind, but in Chinese medicine we're thinking about a different flower this time of year. If you are struggling with winter weather blahs and the colds and flu that are more common this time of year, I recommend chrysanthemum tea as a good traditional Chinese herbal remedy. Chu-hua is used in teas throughout Asia, sometimes in combination with other herbs. In Korea, for example, the tea is traditionally recommended for increasing alertness, so it is commonly served as refreshing tonic. It can often be found in health food stores and Asian groceries here in Wilmington, NC and throughout the United States. Chu-hua is used in traditional medicine to improve circulation and to address a variety of common conditions related to the circulatory and nervous systems. These conditions include acne, colds, and headaches. Because of its detoxifying effects, chu-hua has a wide array of uses. It can even be used as a compress for conditions like varicose veins and atherosclerosis. 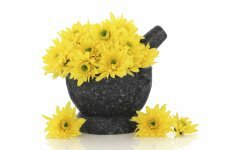 Its reputation as a “cooling” herb makes chrysanthemum tea especially good for treating the symptoms of influenza. It can help soothe your sore throat and reduce fever symptoms because of its association with yin or fluid deficiency. Especially during the winter months, when our lives are busy and the weather places more stress on our bodies than in warmer months, it is important to keep our energy, or Qi, balanced with proper fluid intake. Adding Chrysanthemum tea to your diet can be very useful if the season has taken its toll on you! 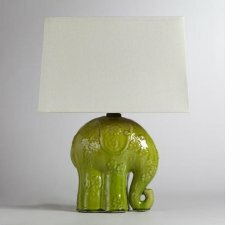 The Feng Shui Way: Green Elephants for Valentine's Day? When we think of Valentine’s Day the colors red and pink and images of teddy bears and cupids come to mind; but what do elephants and the color green have to do with a holiday dedicated to romance? Forget to spend some ‘green’ on your sweetheart this Valentine’s Day, and it won’t be forgotten! In the words of famously witty writer Dorothy Parker, “Elephants and women never forget.” Interestingly, recent science has revealed that elephants really do have great memories, which allows them to remember the landscapes where they live. Elephants are considered one of the auspicious animals in feng shui, along with other animals, like joyful magpies and hardworking camels. Images and sculptures of these animals are used to adorn living spaces to symbolize the positive attributes they represent. In traditional Chinese culture, the elephant is associated with intelligence, good luck, and strength, all good qualities to bring into your environment. Click to read more about the green elephant in our office. Feeling stressed? Stress can often lead to headaches, ranging from minor tension headaches to full-blown migraines. Over 50 million Americans have experienced a severe form of headache at least once. In Chinese tradition, headaches stem from unbalanced Qi or energy. 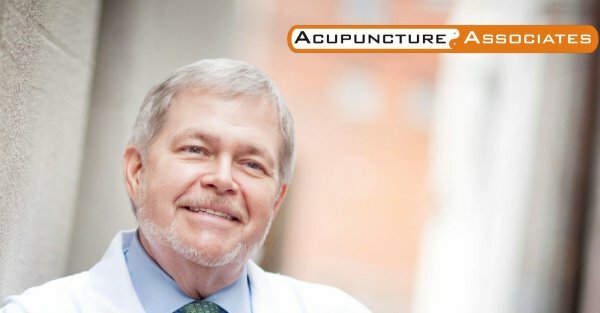 Acupuncture may be able to help alleviate your symptoms so that chronic, irritating headaches aren’t a part of your day-to-day routine; click here to read how. Suffering from a sore neck? Then you’ve probably discovered that it is crucial to be able to move your neck without pain–and if it does hurt when you move your neck, you’ll feel pain throughout the day. The neck is one of the most delicate and important parts of the body. 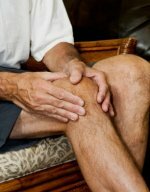 Strains, tears, and inflammation in this flexible area of the body can lead to discomfort and pain. Click here to learn how Acupuncture Associates can relieve neck pain. ..."listen to your body's built-in alarm system." Aches and pains can be thought of as the body's natural alarm system--they tell you something is wrong. It is unwise to ignore pain, rather than seeking treatment for a nagging back or sore shoulder. In many cases, injuries that are ignored may often get worse, rather than better. Whether your have experienced an injury, illness, or other circumstances, finding pain relief is crucial to maintaining your work and home routines. Click to read more on pain management and acupuncture.